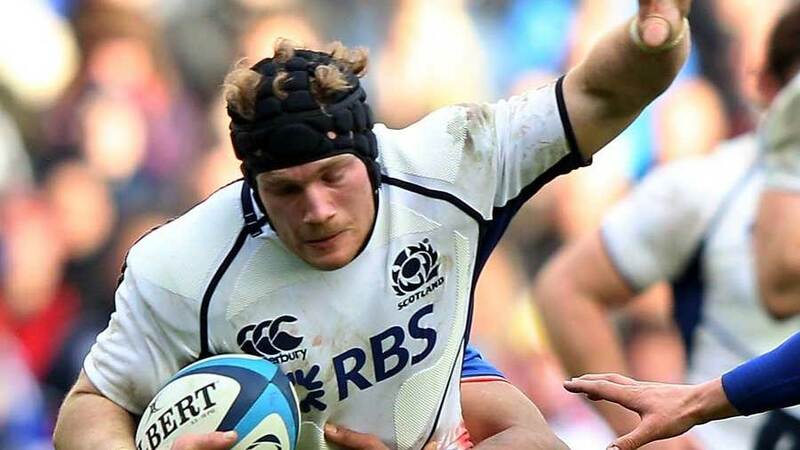 Scotland and Bristol flanker Ross Rennie has retired from rugby with immediate effect due to persistent injury. Rennie won 20 caps for his country, including appearing at the 2011 Rugby World Cup, and had been with Bristol since January 2014. Previously he played for Edinburgh, making his debut in 2006. Rennie's career was riddled with injury. "I feel very privileged to have been a professional rugby player and will take away some great memories from playing the game," said Rennie. "Obviously, it's disappointing to stop playing the game that I love, but the support I've received from Bristol Rugby has been brilliant. I feel very fortunate that the sport has given me the opportunity to travel the world, meet new people and represent my country - something that I'm immensely proud of. "It's been a wonderful experience to represent Bristol - I've thoroughly enjoyed my time here. I cannot thank the coaches, and the medical staff enough for all the time and effort they have given to me. The players and supporters of Bristol Rugby have been brilliant and made me feel very welcome from the outset. I wish Andy [Robinson] and my teammates all the best for the remainder of the campaign." Bristol coach Robinson, who was also Rennie's coach with Edinburgh and Scotland, paid tribute to the 28-year-old. "We're sad to see Ross' career cut short by injury because he has been an influential player for us over the past twelve months," he said. "I've worked with Ross from a young age and, at his peak, he was one of the best openside flankers in the Northern Hemisphere - a world class performer. Unfortunately, injuries have hampered Ross' progress, but his attitude and willingness to learn has not been dampened. He can leave the sport proud of his international achievements and with some great memories."